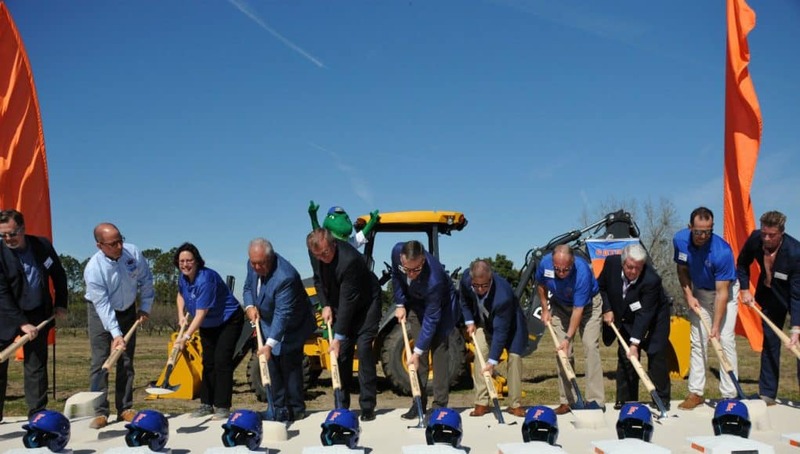 The Florida Gators long awaited new baseball stadium broke ground on Friday afternoon. The new baseball stadium is set to cost $65 million dollars and is located next to the Donald R. Dizney lacrosse and soccer fields. If the construction timeline remains on schedule the ballpark will host the Gators for the 2021 season. Building a new ballpark allows Florida to move forward with plans to build a stand-alone football facility. Original plans, years ago, called for a renovation to McKethan Stadium with a stand-alone football facility wedged between the indoor practice facility and the track and baseball stadium. This new plan will allow for more space for Florida’s stand-alone facility where McKethan Stadium used to stand. Construction for that project will begin as soon as the Gators’ baseball team completes it’s 2020 schedule. Athletic Director Scott Stricklin quickly realized that this wasn’t a long term solution, merely a Band-Aid. 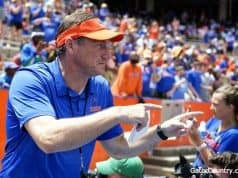 “We have a National Championship program and National Championship caliber fans and they deserve a ballpark to go along with that,” Stricklin said. Florida’s athletic Association (UAA) was able to find the land on the southwest corner of campus. It’s across the street from the softball stadium and next door to the Dizney Stadium that houses lacrosse and soccer. There was a problem, the land was owned by the University of Florida and was being used by the Florida Institute of Food and Agricultural Sciences (IFAS). After a negotiation they came to an agreement. The University of Florida has been playing baseball for more than 100 years. 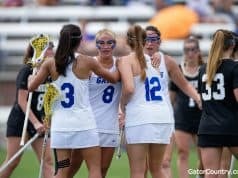 They originally weren’t even allowed to practice and play on campus, rather playing at Gainesville City park before they were allowed on campus where they shared a field with the football team. It wasn’t until after WWII that Perry Field was built and it wasn’t until the 1980s and 1990s when Alfred A. McKethan donated nearly $3 million dollars did they start playing in what is now known as McKethan Stadium. The Gators have played there for more than three decades but will soon move away from their friendly confines. 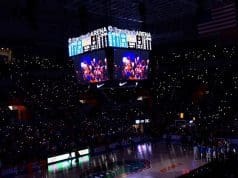 The McKethan name will likely not adorn the stadium as it does now, naming rights are still being talked about, but McKethan’s name and legacy will not stray far from Gator baseball. Location: SW part of campus at the intersection of Hull Road and IFAS Research Drive; adjacent to Dizney Stadium. – All permanent seating will feature chairbacks; an increase from 2,408 chairback seats at – McKethan Stadium to over 4,000.